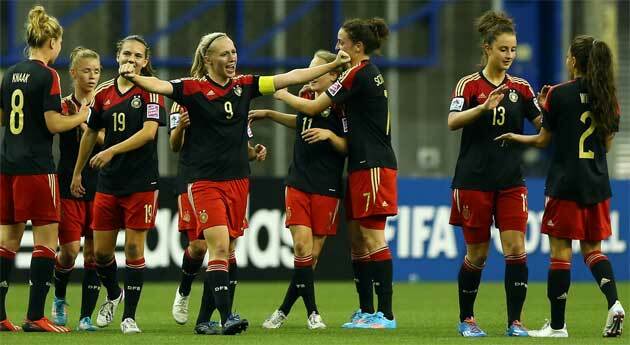 Germany won the FIFA Under 20 World Cup for the third time after beating Nigeria in extra time. UEFA.com collects all the reactions from Canada. The team of Maren Meinert has passed a group of 'iron', with United States (victory for 2-0), China (tie for 5-5) and Brazil (victory for 5-1). Coming to the quarter-finals, the German national team has set 2-0 on the home side of Canada before eliminating France in the semi-finals for 2-1. Between disappointments, surprises and half-respected predictions took place in Canada the first day of the quarterfinals of the world under 20, great showcase and forge of talents from the four corners of the globe. We follow the order of play and start from North Korea-United States, which was also the game with the most uncertain outcome, although it was impossible not to tip the scales in favor of the Americans. 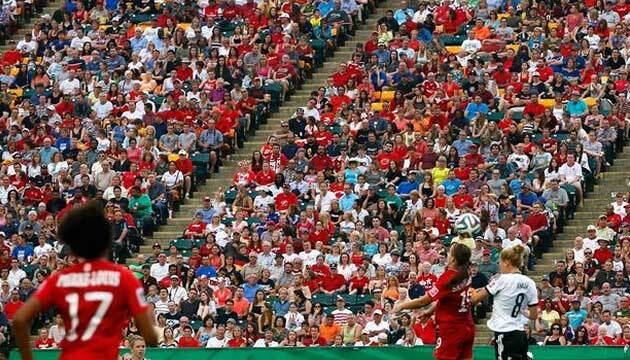 In fact, in the beautiful setting of the National Soccer Stadium in Toronto, under a leaden sky and an insistent rain, in the first minutes there seems to be only one team in the field. The Korea collects without reacting, while Roccano and companions are compact but they expand well in the re-start, they span with precision, occupy the whole rectangle of play. Fantasy against organization. Unpredictability against planning. The beaches of Copacabana against the cold features of Berlin lived and harassed by fifty years of cold war. Put Brazil and Germany in a green rectangle, throw a ball, and you will get a good game guarantee. At least in the second half, the girls of the under 20 have not been less physically than David Luiz and Mertesacker, but they have cheered the evening of football fans and given the opportunity to groom the roses looking talents destined to become great. Just a month ago the men of Scolari succumbed to the blows of Muller and his companions under the helpless gaze of Christ the Redeemer: the young Brazilian women have avoided it, but if football is not an opinion, it is also true that Germany match can be wrong, but two are not. That's why after the half misstep with China the girls of Maren Meinert have resumed the course, and will hardly make further detours. France is warned. UNDER 20 WORLD CHAMPIONSHIP IN CANADA: YOU WILL PLAY THERE! 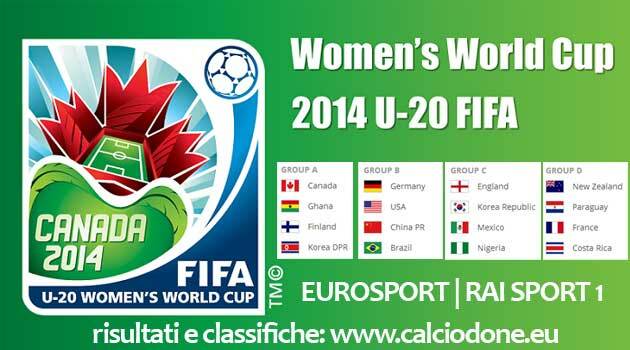 Tonight, at 23: 00 Italian, in Canada, the Under 20 Women's World Championship begins with live coverage on Eurosport and Rai Sport 1. Sixteen national under 20 ready to take the field to succeed the reigning champions American winners of the 2012 edition in Japan. The inaugural match is between Finland and North Korea (Eurosport Italian 23 hours), followed by the big match Germany - USA, Canafa - Ghana (Rai Sport hours 2 Italian) and China vs Brazil. Read more: UNDER 20 WORLD CHAMPIONSHIP IN CANADA: YOU PLAY AGAIN!